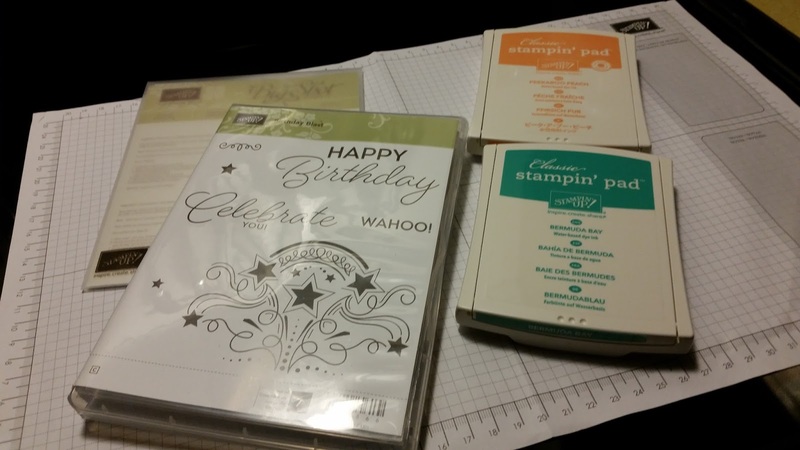 Occasions "Birthday Blast" Card Images by Stampin Up! How would you like to send this super cute birthday card to someone on their special day! Checkout out the video to see some of the great things you get in the Occasions Catalog. The Occasions catalog has great products to create beautiful projects. The design possibilities are endless. To see this card and more download the PDF and let your imagination soar! I CASEd this card from page 11 of the Occasions catalog! Cut whisper white cardstock 11" x 4 1/4", score @ 5 1/2"
Cut Bermuda bay cardstock 4” x 5” and die cut using blast thinlet. Cut peekaboo peach cardstock 2" x 4" and die cut stars and scribble design. Stamp designs from the birthday blast stamp set on white card and envelope. Assemble and attach pieces using the fast fuse, and dimensionals. 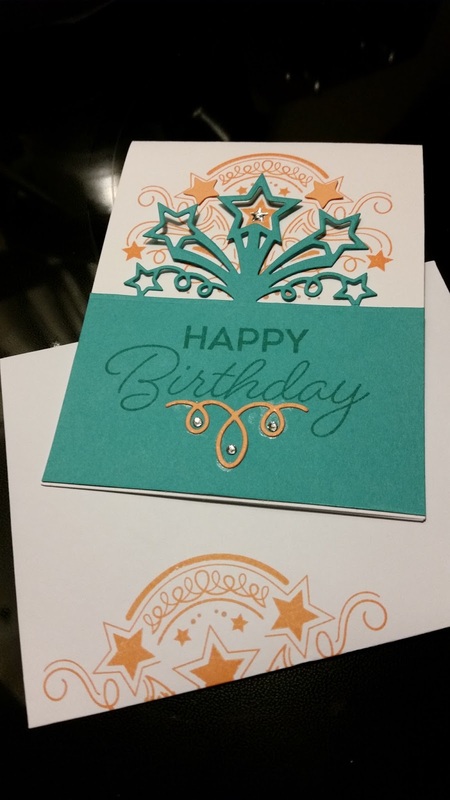 Add metallic shapes and rhinestones to give card a jazzy look. To purchase the products for this card or any of Stampin up products shop my online store!